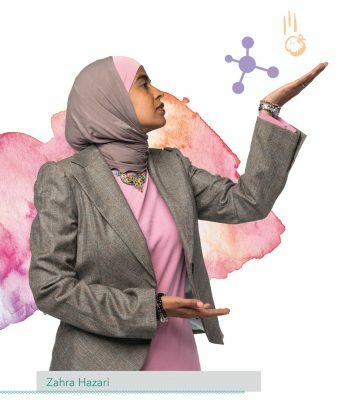 Nov. 8 is national STEM day, something Zahra Hazari knows a lot about. She is trying to recruit at least 10,000 more women to pursue physics degrees in the United States by 2020. It’s an endeavor that would have seemed impossible 30 years ago, a time when no one seemed to care that women were not flocking to careers in science, technology, engineering or math — no one except an elite few like Yesim Darici. When she joined FIU in the mid-1980s, Darici became the first female physics professor in the state of Florida. Hazari, Darici and recent FIU graduate Natasha Blanch are changing the face of STEM in the United States. Because of their efforts and others like them, the days of women being under-represented in STEM careers could come to an end. Yesim Darici did not pursue a career in advocacy. She is a scientist — a theoretical and experimental physicist with expertise in transition metals. Yet, Darici is a trailblazer for women in science. Today, she is also FIU’s leading advocate for women and gender issues as the director of the Center for Women’s and Gender Studies. For Darici, advocacy just comes naturally. For six years, she served as the education officer for an organization dedicated to advancing and celebrating Hispanic-American physicists. Yet, she is Turkish. She also served on the American Physical Society’s committee on minorities to advance initiatives that attract more women and under-represented minorities to careers in physics. She worked with federally funded programs to engage local high school kids from economically under-served areas in both science and college life. She also coordinated physics workshops for high school teachers. Throughout her 30-year career at FIU, Darici has championed STEM initiatives for women and minorities at the university, including two National Science Foundation-funded projects to increase diversity among its faculty. When she first joined FIU in the mid-1980s, she became the first female physics professor in all of Florida. Throughout her career, she has helped others find success in the sciences. She has mentored countless students. There have been many successes, but she has also endured many bouts of discrimination. When she talks about these experiences today, it’s usually with a smile — not because they’re all happy memories though many of them are. She smiles because she knows what success feels like. Zahra Hazari thinks more women should become scientists or engineers. And she definitely thinks the world could use a few more female physics majors — 10,000 would be a good start. With thousands of high school physics teachers (male and female) helping her out, she may hit that target by 2020. It’s a dream that’s been catalyzing in her mind since she first studied physics in Florida. Even before joining FIU in 2014 as a physics education professor, Hazari had dedicated her research to improving access for women and other under-represented minorities in physics. She served on two key committees dedicated to encouraging more women to pursue physics careers, one with the American Physical Society and the other with the American Association of Physics Teachers. At FIU, she has been tireless in improving opportunities for under-represented minorities in STEM. She recently led an effort to secure funding for students pursuing computer science degrees. Working with collaborators at FIU and at two other universities, Hazari received a $5 million grant from the National Science Foundation (NSF) of which $1 million will go to FIU to help students in computer science finish their degrees. Her research in trying to understand why some students complete STEM degrees and others don’t is ongoing. She is exploring why people of different genders sometimes abandon physics as a major and whether classroom environments and classmate behaviors can influence a student’s decision to stick with or abandon science careers. Her efforts recently culminated in a game-changing project that has garnered NSF support. 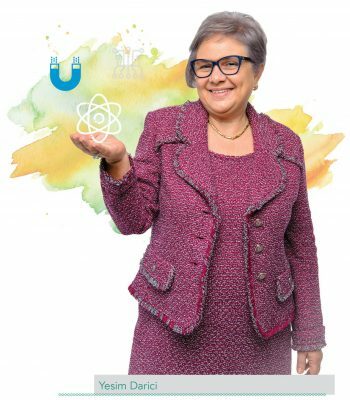 Hazari, her colleagues in the FIU STEM Transformation Institute, partners from physics organizations and another university have been awarded a $3 million grant to recruit thousands more women to pursue physics degrees. The plan seems simple but the undertaking is monumental — partner with 10,000 high school physics teachers who are willing to recruit at least one female student each to pursue a physics degree in college. Hazari and the FIU team are developing a recruitment program and training materials to help the teachers identify and engage the students best suited for the highly skilled field. Hazari is piloting her program this year at 10 schools. She is fine-tuning the lessons and best practices the teachers will use to further encourage their students to seek physics degrees. After ensuring the lessons apply to students in urban, suburban and rural schools, the campaign will expand to 24 teachers in 2018. After that, they will ramp up quickly, hoping to reach the 10,000 physics teachers — or 60 percent of all U.S. physics teachers — in 2019. Natasha Blanch hopes to one day be one of those teachers picking up the torch, igniting the imagination of her students to pursue STEM degrees. She recently became the first FIU student to complete the FIUteach program when she graduated in 2017 with a bachelor’s degree in mathematics and a teaching certification. The program enables STEM students like Blanch to earn both a degree in their major and a teaching certification without adding time or expense to their four-year degree program. “After taking the first course, I realized I can be the driving force behind a student who hopes to become a neurosurgeon, a rocket scientist, a physicist or a mathematician,” Blanch said. She began her first year at FIU as a finance major, but quickly realized analyzing balance sheets was not for her. While working at a math learning center, she realized she enjoyed teaching others. 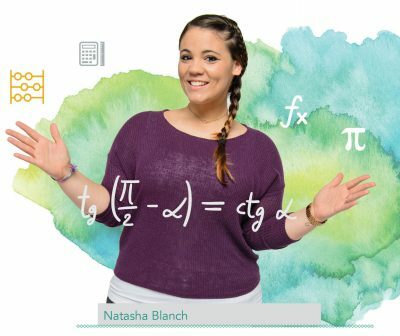 Her academic advisor introduced her to FIUteach, which is part of the National Math and Science Institute’s UTeach program, a secondary STEM teacher preparation initiative that is helping to produce qualified math and science teachers across the country. Blanch and other students in the program rely on master teachers to provide mentorship and guidance as they navigate through FIUteach and prepare for a teaching career. Working together with Miami-Dade County Public Schools, FIUteach serves as a pipeline of highly skilled and diverse teachers to the fourth-largest school district in the country and beyond. First, however, Blanch took a detour to the Marshall Islands where she is teaching accounting and coaching high school students in math. Though Blanch is the first to complete FIUTeach, more will soon follow. Currently, 350 students are enrolled in the program, making it one of the largest Uteach programs in the nation.